October is Bat Appreciation Month! Happy Bat Appreciation Month! During this “spooky” month, let’s take some time to celebrate an important species that is vital for the health of our natural ecosystems. Bats are infamous “creatures of the night” that are often feared by those that lack knowledge of their ecological benefits. These fascinating flying mammals serve our natural world by eating agricultural pests, pollinating plants, and ensuring the growth of fruits and veggies that feed people across the world! According to Bat Conservation International, there are approximately 1,300 species of bats in the world, 47 of which live throughout North America. Unfortunately, most of the bat species found in the United States are considered endangered. Poaching, habitat destruction, and pesticides pose the greatest threats to bat survival. It’s important that humans find a way to coexist with bats to ensure the health of our natural ecosystems for future generations to enjoy. The best way to appreciate bat species is by learning more about them and sharing this newfound knowledge with others. 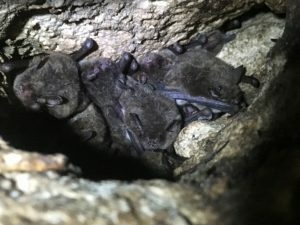 Discover more about various bat species and their protection by visiting the Florida Fish and Wildlife Conservation Commission website, or by getting involved with local efforts. Remember, it’s up to us to change the perspective of these amazing creatures!